Professor Giles Mohan outlined how African governments can play a key role in leveraging the benefits of Chinese oil investment, in a paper presented at the fourth Africa Oil Summit in November. Co-presented with research partner Dr Richmond Atta Ankomah of the University of Ghana, the paper was the culmination of a three-year research project looking at China’s role as a major player in the oil industry in Africa. The Oil Summit held in Accra, Ghana, brought together stakeholders in the African oil industry to consider how the resources from oil can be channelled into supporting local priorities for growth and inclusive development. Its key output will be a communiqué of demands for actions by governments, policy makers, and firms across Africa to further this goal. The ESRC/DFID-funded research project led by Professor Mohan examined both the Chinese motives for investment in African oil, and the African responses. It engages with the key – and highly topical ­– question: does Chinese expansion into Africa spell increased co-operation between developing countries for mutual benefit, or a new phase of exploitative neo-colonialism? 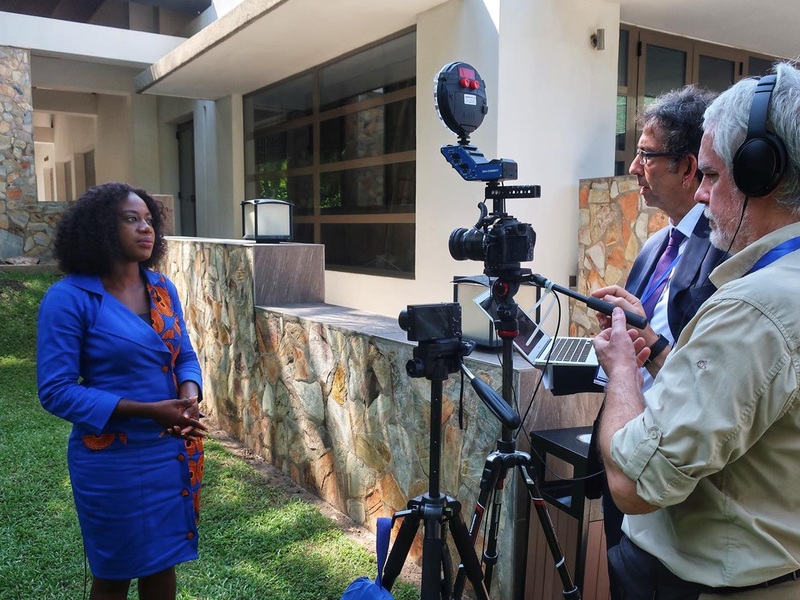 “There are a lot of misconceptions about China ‘stitching up’ the resources in Africa but actually there are a lot of opportunities for African governments who are brokering the relationships between the actors in the industry,” says Professor Mohan. For those wanting to delve more deeply into this topic, a further output from the research will be a free OpenLearn short course called China in Africa. The five-week course will launch in spring 2019.